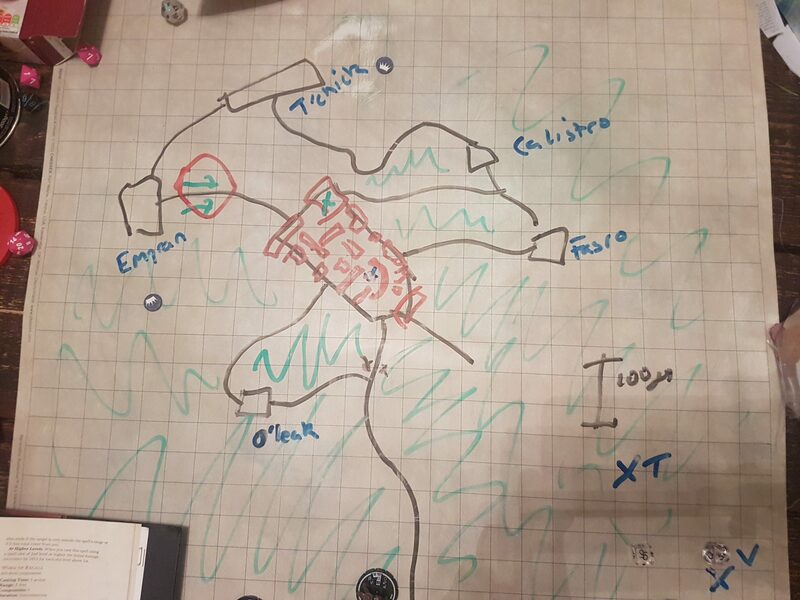 Posted on January 17, 2017 by thelostlighthouse	in Gaming, Podcast, Total Reroll and tagged 5th Edition, 5th edition D&D, actual play, D&D, displacer beast, DnD, Dungeons & Dragons, Dungeons and Dragons, fantasy western, gaming, pen and paper RPG, podcast, real play, role playing game, RPG, thelostlighthouse, TLL, tllgaming, tllpodcast, Total Reroll, Total Reroll Equinox, wererat, Western, Wizards of the Coast. We are in our second story arc, ‘Haunting at Dead Water’, and Shep, Ragnar, Pity, Jyoti, Badger and Mary have been sent to investigate strange goings on in the spooky town of Dead Water. This week we find out what they are and starting being rubbish detectives! Enjoy! Map of Dead Water, with the town on the Intrepid Blue ship in the middle, and several houses down paths in the mangrove forest around it. The fight in the second half of the episode takes place on the path to the west in the red circle. The X marks to the south east indicate where murders happened. 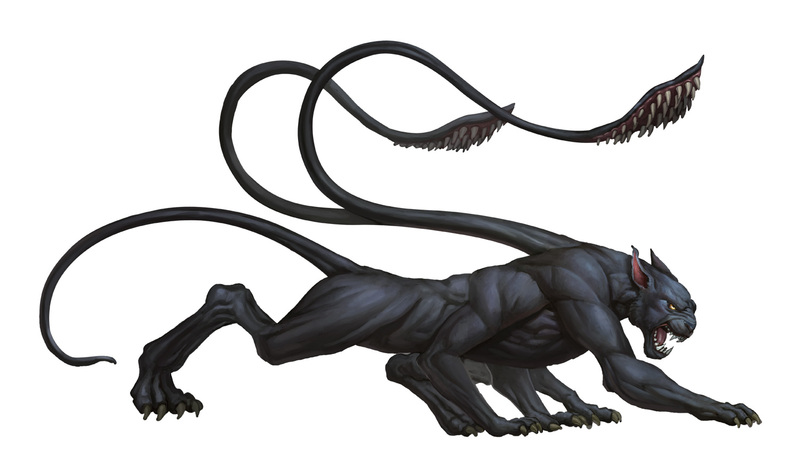 A displacer beast. Basically a panther with tentacles. Who can shift.